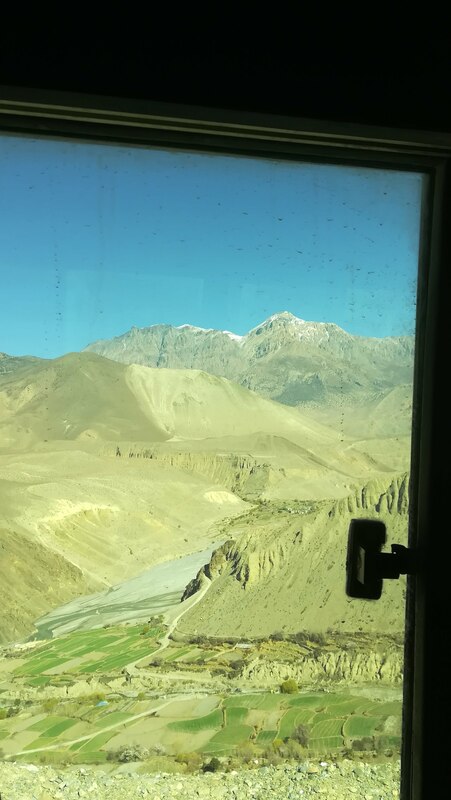 In Muktinath you can decide to continue walking on the Annapurna Circuit or to skip some days by taking a bus or a jeep. As I wanted to have some days to rest in Pokhara after the trek, I decided to take a bus to Tatopani and continue the trek from there. I said to myself that a resting day on the bus would not be so bad…bad idea!!! They overcharge you, they give you the back and you really cannot enjoy the ride. You get to Tatopani more tired than after 2 days hiking!! It’s good for you to know: in Nepal, while you’re hiking and you’re tired, you would like to have a bus to rest and help your wat down, while you’re on the bus, you want to get off and just walk! Providentially, when you finally get to Tatopani, you can relax and heal your pain in the very very hot hot springs! Proud founder of Shego! - Sharing Exeperiences on the go! !